In June 2013, this work was damaged while on view at London’s National Gallery. 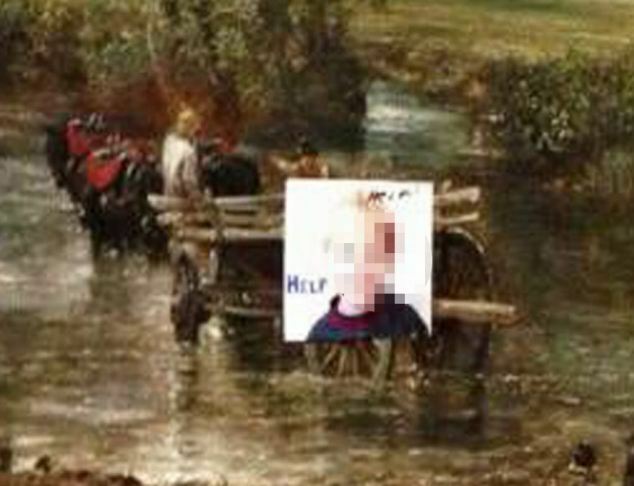 Paul Douglas Manning, 57, of Sheffield, was arrested on-site after gluing a small photo to the canvas, bearing the image of a young boy (whose face is pixelated in the above detail image for the sake of anonymity). Manning claimed to be a supporter of Fathers4Justice, a father’s rights organization based in the UK. A “desperate dad,” Manning hoped his act would draw attention to the issue of shared parenting. The damage to the painting was minimal and quickly restored; the work was put back on public view the same day. This wasn’t the first incident of art vandalism attributed to Fathers4Justice: Two weeks earlier, a painting of the Queen was spray painted by a disenfranchised Fathers4Justice supporter named Tim Haries.